Your data is safe in our hands. and Ministry of Defence, our success rates are the highest in the industry! recovery success rate of over 97% - even from some of the most severe failures. informed decision before purchasing an actual recovery. your data and hard drives are safe in our hands! your data the utmost priority and work through the night! Retrieving data from legacy formats. stored on media and in applications that are no longer supported. Our skilled technicians can assess and recover data from any type of failure, including mechanical, electronic or logical issues, re-partitions, low level formats and secure erasure. We can recover RAID data, VMWare data and rebuild server files from RAID degradation, damaged disks, logical corruption, deletion and re partitions. We have a 97% success rate from RAID. Portable and external disk drives can vary in data structure and often suffer from unique mechanical failures. We have over 14,000 donor spares to ensure that your drive can be repaired. Using the latest state of the art data extractors, we can recover lost SMS texts, photographs, Whatsapp messages and information from NAND and monolithic flash memory. We can remove and directly interrogate flash memory chips using microscopic soldering stations, chip off JTAG and PC3K spider board data recovery techniques. We are specialists in solid state drive recovery and have proprietary tools and specialist knowledge to overcome the technical challenges that are unique to SSD technology. Free diagnostic evaluation and no obligation quote. Data recovery success rates of 97% and fast turnaround. ISO accreditation, clean rooms and data extraction tools. With a 97% success rate we offer the best chance of data recovery. Last year we helped thousands of clients in the UK and throughout the World to recover their data from media including HDD, RAID, solid state disks SSD, memory sticks, USB portable disks, SD cards, tapes and even mobile phones. 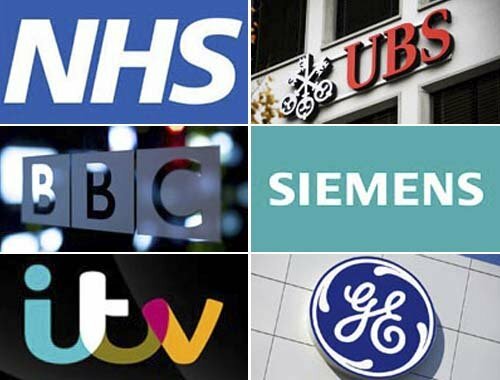 This is why clients such as Centrica, GE, MOD, NHS and the BBC trust us with their critical data. At Data Recovery Specialists, we understand how important your data is. With more than 40 years experience in recovering files and Chairing BSI and ISO technical committees for magnetic and optical data storage devices, we are a company you can rely on. Our experts lead the industry in file recovery engineering and innovative hard drive recovery solutions. With unparalleled data extraction tools, laboratories and clean rooms - we offer one of the best chances of recovery for mechanical and logical failures, deleted files or corrupted data. We think our success rate of 97% last year speaks for itself! We offer an immediate technical analysis, a free no obligation fixed quote and an emergency service for critical recoveries. Our process is completely transparent. You will be kept informed throughout the recovery process by a dedicated consultant and we aim to minimise your downtime by completing all recoveries in a matter of only a few days. In fact we aim to complete every recovery within 48 hours. Our services meet all the requirements of the Association of Chief Police Officers (ACPO) principles and with our ISO27001/ISO9001 accredited labs - you know your data is safe with us. 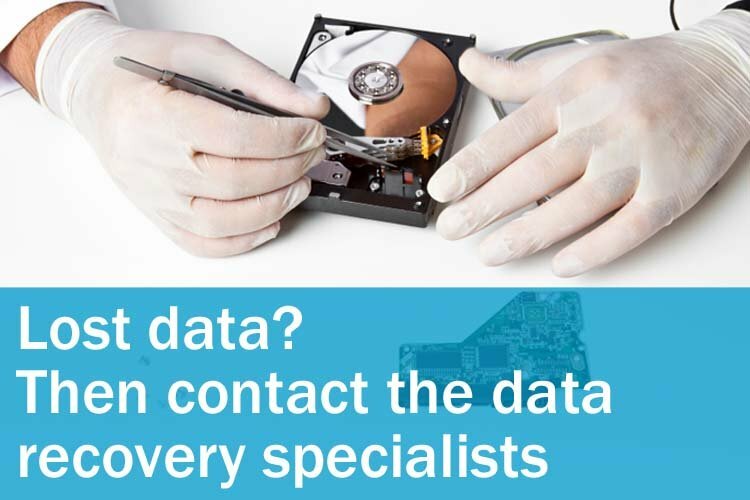 Data Recovery Specialists have offices serving all regions of the UK. This means that you are receiving a world class service – locally. To speak to one of our experts simply give us a call or get an online quote. Our consultants are available weekdays 8am to 8pm and at weekends 9am to 5pm. Get a quote with our online price calculator. Simply select your operating system and the symptoms and we will give you a guideline price for the recovery. Simply send us your media or drop it into one of our regional offices throughout the UK. ► Call, email, or fill in the online enquiry form to discuss your issue with our consultants. ► Package your media and include the shipping form emailed to you. ► Send your media via the Post Office, courier or drop it into one of our offices. We will complete the recovery and give you a fixed price quote and file list of recoverable files. ► Once delivered, you will receive a unique receipt by email. ► The media will be evaluated and the data recovered. ► We will send you a file listing, technical report and quote for the recovery. If you decide to proceed, we will complete the recovery and return your data on new media. ► Your data will be transferred to a new hard drive, flash memory, or any other media of your choice. ► Data is returned by secure next day delivery with our trusted couriers. ► We retain a copy of your data for 7 days to give you time to verify the returned data. Stay ahead of technology with the latest thinking in data recovery.